Nainital bounded by green mountains and make a really high-quality picture. It is a hot traveler spot particularly for honeymooners who get pleasure from the view of the different lakes aroung Nainital District and also try their hands at boating, get themselves snapped to take sugary memories back home. Nainital is a complete package for honeymooners as the climate is moderate with the mist so dense, it seemed as though the clouds themselves had descended on the earth. A Honeymooner will get everything in one place, Lakes, Mountains, Adventure, Spirituality, Nature walks, Tranquility, Beauty, Temples, Charm and Hospitality. 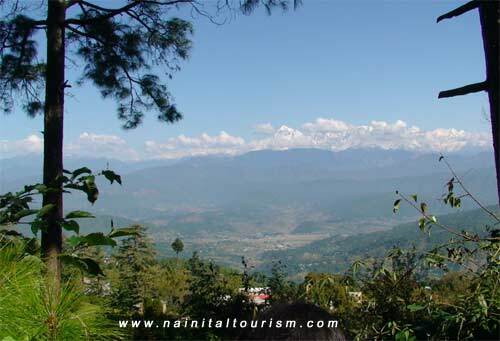 Kausani is a destination for Himalayan tourists. 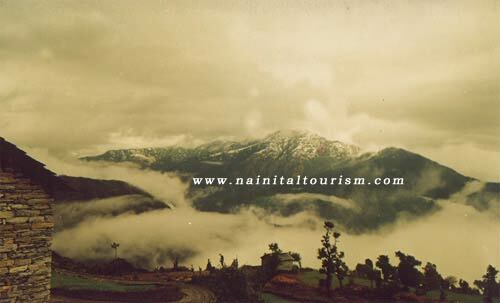 It is located 120 Km from Nainital, 53 km North of Almora. This place offers a 350 km view of the Himalayan peaks like Trishul, Nanda Devi and Panchchuli. The view is so clear that one gets a feeling of the snow being within touching distance. There are very few places in the Himalayas which can compare with the beauty of Kausani - a picturesque hill station famous for its scenic splendor and a perfect place for Honeymoon. 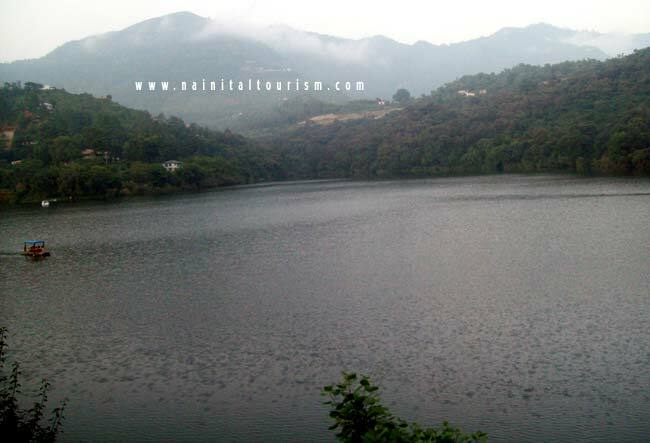 Naukuchiatal the mystique lake with 9 corners or or the 'nine-cornered lake' located 24 Km from Nainital, Is perhaps the most picturesque lake in Uttarakhand, surrounded by green slopes and oak forests. Naukuchiatal is fed by an underwater spring, which keeps its water levels high. Naukuchiatal Lake is the deepest lake in the Lake District of India (Nainital) and lost in acres of oak forest in the lesser Himalayas. This place still has that vintage untouched beauty. 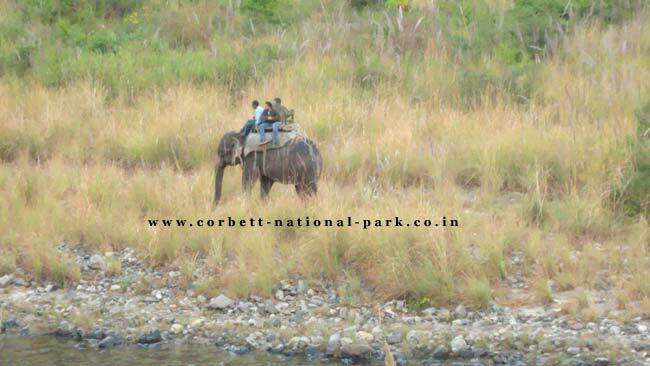 Corbett National Park is just 60 km away from Nainital situated in Ramnagar in the District of Nainital, Uttarakhand with an area of 521 km2. One of THE oldest & first National Park in India which records the World's Largest Population of Tigers. Aptly called the land of roar, trumpet and songs. set on the banks of the mighty Ram Ganga river is Dhikala - the main tourist attraction in the world famous and India's first national Park - Jim Corbett National Park. One can sit in solitude for hours admiring the nature and the river or can go for Jeep Safari or Elephant ride for a life thrilling encounter with the Lord of the Jungle - Tiger. 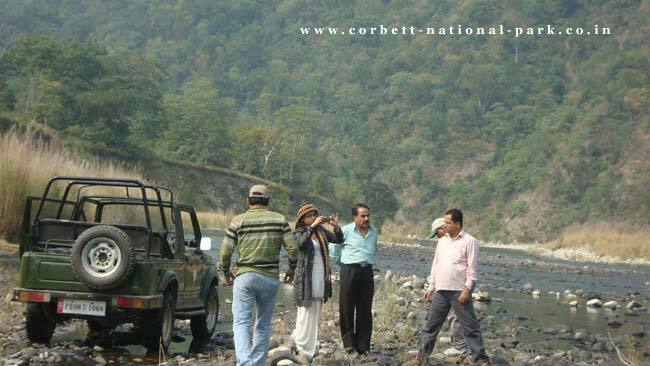 Corbett National Park forest has more than 500 species of animals, birds fishes and reptibs provides a range of adventure to all -from a child to a man with his adrenaline pumping. 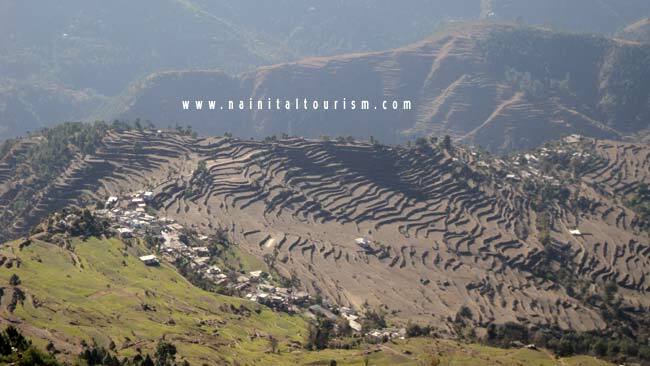 Ranikhet is a beautiful hill resort is about 63 km from Nainital. The beauty of Ranikhet lies in its simplicity - beautiful pine trees create a nostalgic feeling. The orchards, the temples, the joy grounds will back on you again and again to its fold. 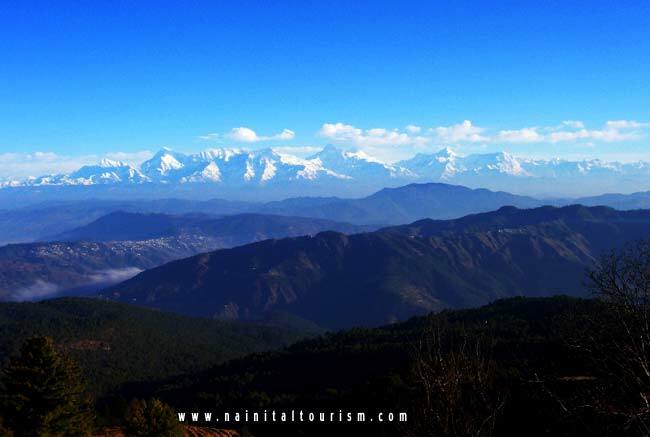 Ranikhet is within sight of the western peaks of the Himalayas. Ranikhet meaning (Queen's Field) was named after a legendary British Queen who camped in the area and fell in love with it, the town provides a spectacular view of the Himalayan range with snowy peaks & lush green valley in the distance. Mukteshwar is a beautiful place at an altitude of 2286 meters (7500 feet) Mukteshwar is 51 Kms. from Nainital and 395 km from Delhi. Surrounded by magnificent oak, rhododendron forest, fruit orchards and thick coniferous forest. Mukteshwar was developed by the Britishers as research and education institute (IVRI) in 1893. It is the celebrated scenic spot overlooking long ranges of Himalaya. An old temple of Lord Shiva exist on the top of a rock. Mukteshwar commands a breathtaking view (380 km.) of Garhwal, Kumaon & Nepal snow ranges which include BANDAR POONCH, CHAUKHAMBA, NEEL KANTH, TRISHUL, NANDADEVI, PANCHACHULI, Mt. API, NAMPA to name a few. Mukteshar also offers a relaxed atmosphere replete with leisure and during the fruit season orchards laden with apples, peaches, pears, chestnuts & plums. Only few rivers in the world have the mystique of the Ganges, the living mother Goddess of the India. Rafting on its water of wisdom is certainly an unusual experience. Enjoy and explore the life time experience on a date with mother Ganges. Your first encounter will be the beginning of the addiction. 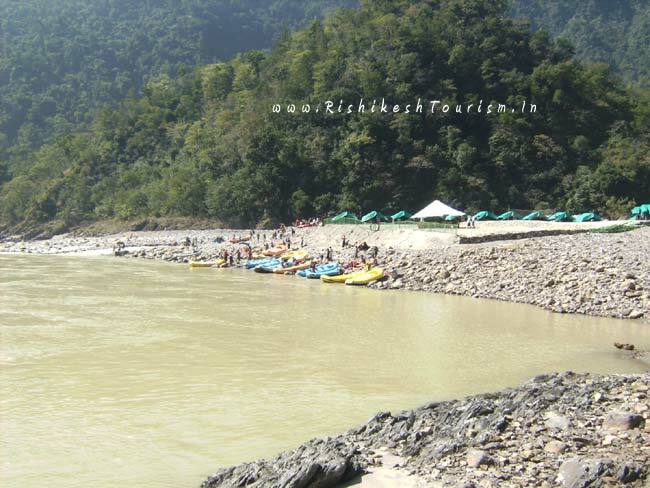 Rishikesh is becoming a popular spot for white water rafting enthusiasts, both from India and abroad, as it offers medium to rough rapids in the course of river Ganges. Mussoorie the proverbial Queen of Hill Stations, as professed by the British gentry who evaded hot, desultory summers of Delhi and Kolkata by spending time here. Being at an average altitude of 2,000 metres (6,600 ft), Mussoorie, with its green hills and varied flora and fauna, is a fascinating hill resort. Commanding snow ranges to the north-east, and glittering views of the Doon Valley and Shiwalik ranges in the south, the town was once said to present a 'fairyland' atmosphere to tourists. Spread over a ridge, 2000 meters above sea level, Mussoorie offers distant views of the holy and mighty river Ganga from one end of the ridge, and of the famous river Jamuna from the other a stretch of around 19 kms all. Dhanaulti also known as Dhanolti, is a hill station 24 km from the popular hill station of Mussoorie, and 29 km from Chamba, as it is situated between the two. It is situated at an altitude of 2286m, and is known for its quiet environs amidst the alpine forests of Deodar, Rhododendron and Oak. Dhanaulti has an atmosphere of placidity and tranquillity. Indulge yourself in the lazy outings, long wooded slopes, cool breeze, salubrious weather and exquisiteness of Dhanaulti. Auli is a place of impeccable natural vistas of mighty peaks are studded with huge mountainous trees creating a fabulous scenery that compels compulsive travelers to set on Auli Tours repeatedly. Auli is blessed with a breathtaking panoramic view of the lofty peaks of the greatest mountain range in the world, the Himalayas. Auli has a pristine natural beauty and its alpine atmosphere lure many tourists. A haven for those who want to escape the humdrum of everyday life, conquer their fear of heights, savour nature in its purest form or just throw snowballs at each other. Auli also boasts the Asia's longest - 4 km Cable Car / Ropeway (Gondola). It also has a Chair Lift and a Ski-Lift. 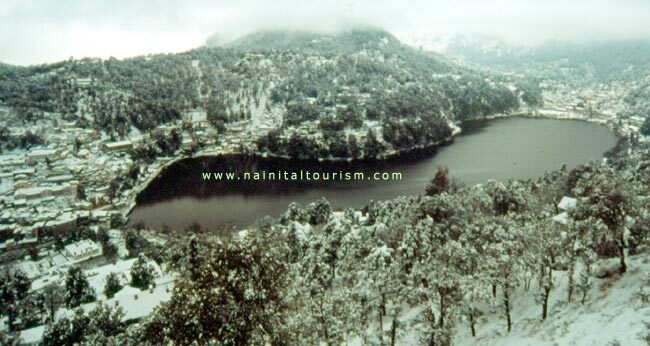 Nainital Tours & Package Since 1999 offers Luxury, Budget, Deluxe Honeymoon Packages for Newly Wedded Couples. Our packages start from Delhi and end at Delhi. We provide excellent Honeymoon Packages in whole Uttarakhand. We cover ALL the above mentioned places. The perfect couple deserves the picture perfect places for the golden days of their life together- that is the Honeymoon heavens. We at Honeymoon Package offer the best of the breathtakingly beautiful backdrops for the most romantic options in the intoxicating land of Uttarakhand for your honeymoon. The beauty of your beloved will add to the happiness of your honeymoon at the destination of your choice.